The one who acts scapegoat to us all; who willingly takes the pain for a higher purpose; to atone? – Or the one who has a bone to pick; who acts for the greater good; who’s forgiven without wanting it? Thank you for the heart-warming words. 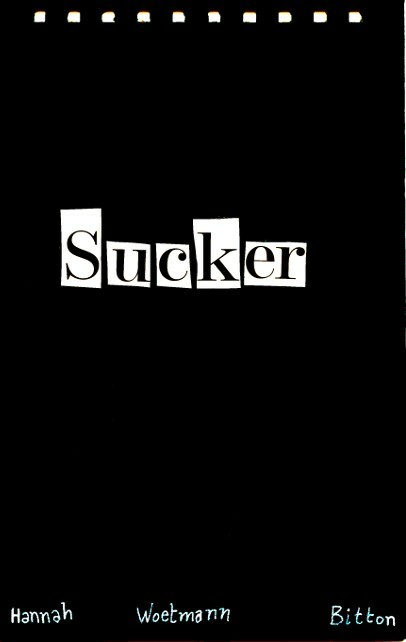 If you want to read Sucker, or other titles, in the full it is available as hard-copy – just write me an email ( steamtrilogy@gmail.com ) and I’ll give you all the details on how. But if you just follow this site, then I can assure you there’ll be lots more from my hands. Keep enjoying.